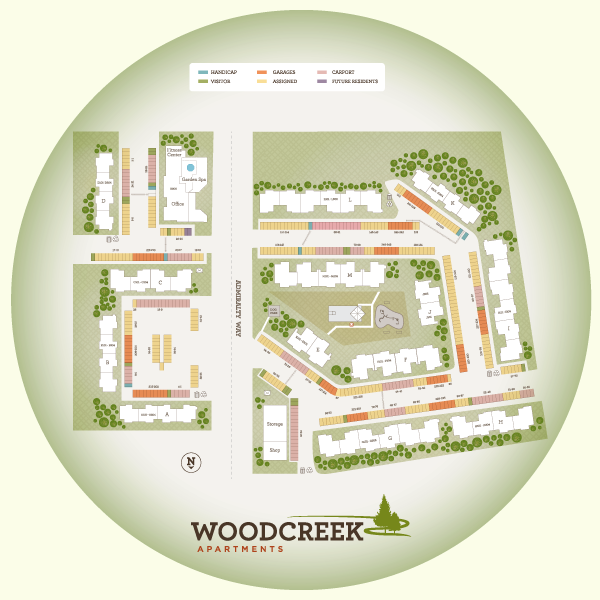 Woodcreek Apartments offers uncommonly spacious and efficient 1, 2 and 3 bedroom floor plans. Every home includes a full-sized washer and dryer, big windows to let in the light, sparkling bathrooms with room for storage, and plenty of closet space. We offer private garages with remote garage door openers to add convenience and comfort to your comings and goings. Onsite storage rooms are also available for those precious items you want to keep close, but out of the way.